Our Woorim Podiatrist clients are serviced from our Bribie Island clinic, within a mostly medical complex at 19 Benabrow Ave, Bellara. Health services onsite in the complex of the Bribie Island branch of Walk Without Pain Podiatrist clinic include a psychologist, physiotherapist, skin cancer clinic, a hearing clinic, naturopath, massage and acupuncture. Phones are answered 8:30 AM to 5PM 6 days per week. Why not try our online 24/7 booking portal ? Stephanie graduated from Queensland University of Technology with a Bachelor of Podiatry (Honours) in 1990. Further to this, in 1996 she completed a Master of Health Science, majoring in Podiatry. Since 1991, Stephanie has been in private practice spending numerous years assisting in foot surgery as well as mentoring new podiatrists as they master their developing skills. Stephanie opened her Woorim Podiatrist clinic in her early 20’s, and since then has mastered neural prolotherapy, prolotherapy, in-house ultrasonography, and minor surgical procedures of the nails and skin, she has a particularly large interest treating intractable pain, particularly where long standing and resistant to previous interventions. Megan graduated from Queensland University of Technology with a Bachelor of Health Science – Podiatry in 2009. Megan commenced working at our clinics prior to graduation and has become an essential part of the team. Megan also has completed a Graduate Certificate in Podiatry Therapeutics 2016 as well as a Prolotherapy course 2018. She is proficient in the art of Copythotic making. Megan enjoys all aspects of podiatry practice but has a special affinity for diabetic and mechanical complaints. Megan also is licensed in the use of the Pinpointe laser for fungal nail infections. Joe is the newest member of our team and has worked previously on the Gold Coast in clinics largely devoted to sports therapies. He holds a Bachelor of Health Science (Podiatry) and graduated from QUT in 2014. His main interests are in nail surgery, diabetic wound care, sports injuries and chronic pain. Joe is enjoying utilising broad treatment modalities and investigations with in-clinic diagnostic ultrasound. In 2017, Reece completed his qualifications and completed a Bachelor of Podiatry from and became the newest member of the Walk Without Pain team. Reece works between both of our Bribie Island and Toombul locations and is enjoying being mentored by our senior podiatrists. Reece anticipates completing further study to enhance his already sound knowledge base and looks forward to learning new skills along the way. 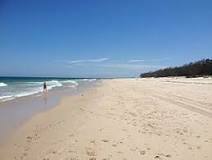 By Car: We are located just over the bridge on Bribie Island. The complex sits to the left at the first roundabout you will encounter. Look out for ANZ bank signage. By Bus: Bus routes 640, 642, 643 and 644 stop close to the clinic. Route 641 stops at the Woolworth’s centre, nearly one Kilometre away. Bus timetables can be found by visiting Translink. By Train: Connecting bus services run between Caboolture Train Station and the Island, stopping close to our location. Train timetables can be found by visiting Translink. Disabled Access is available. Wheelchairs and scooters can enter from the carpark. Disabled parking spaces are allocated. Restrooms are also wheelchair accessible. Seniors Parking is not specifically allocated but space is ample.